ThaiSun Centrum salon located on Łucka 20 street is our first salon in Warsaw and by far the most popular one. The convenient location nearly on the border of the center of Warsaw and Wola district makes it very easy to find for our guests. 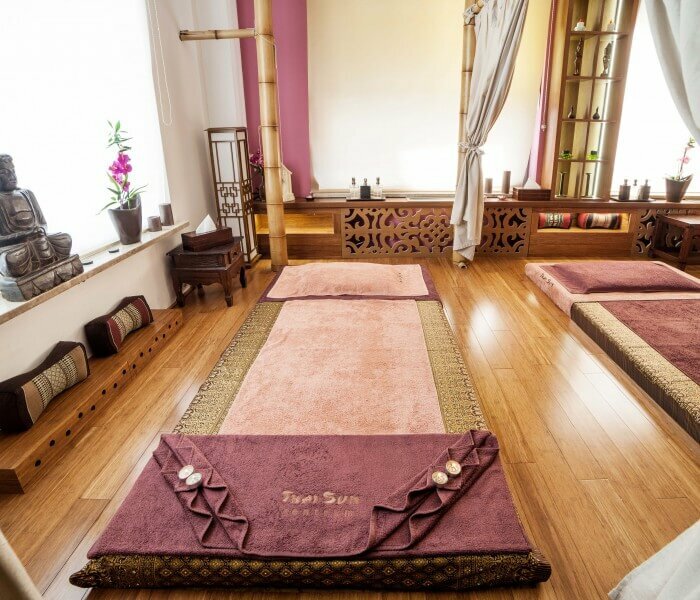 When searching for the ThaiSun Centrum salon You should navigate downstreet from Warsaw Spire building or try to find the Hilton Hotel, which is located just near of the ThaiSun salon. A great location right in the center of Warsaw and a unique thai atmosphere makes this place very popular with showbiz stars, famous sports players or politicians. Coming here for massage You can meet Anna Lewandowska, Edyta Górniak or Maciej Stuhr. 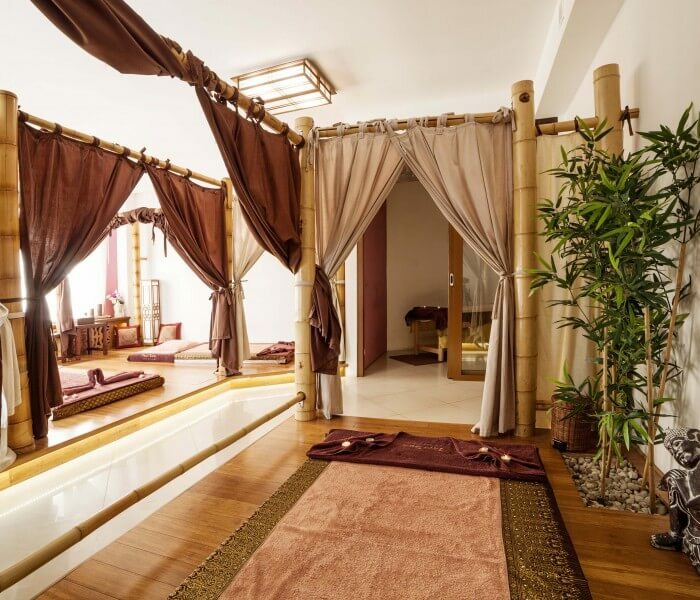 However, the thai interior design, oriental music and an easy way to find this salon doesn’t make place successful - but professional thai massage performed by world renown thai massage masters does, and that is what our customers loved about ThaiSun Centrum in the first place. If You find any particular masseuses style to be perfect for You can always ask about her name and next time book thai massage with her. 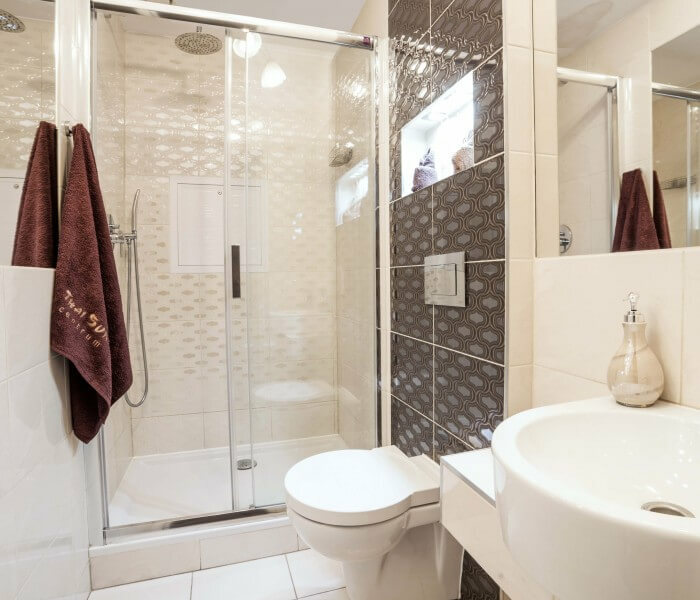 We care tremendously for Your best comfort: we provide parking spaces that are located very close to the massage salon as well as a fully equipped bathroom with shower and all the needed clothing and towels. 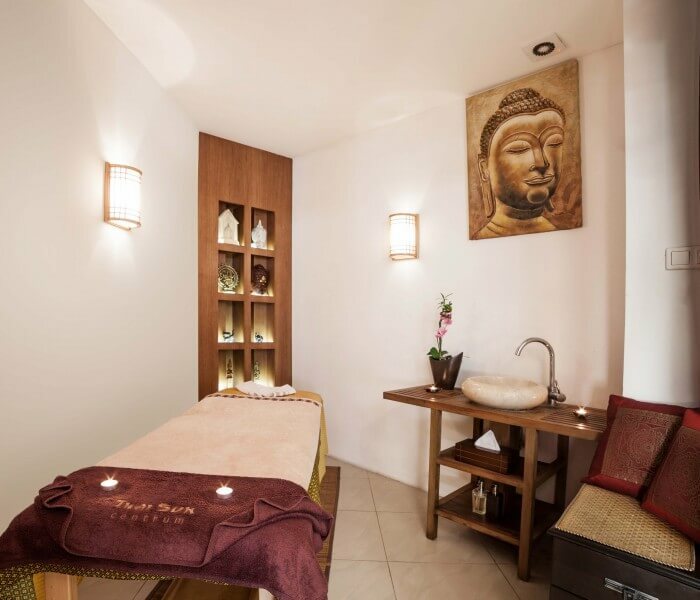 Everything You need for experiencing that massage in a best possible way You will find in our salon. All of our salons are easy to find, with the ThaiSun Centrum being very easy and fast to access from the center of Warsaw. The Łucka street is a one way street but You can acces from different directions - the most popular is from Rondo Daszyńskiego - from Towarowa street You turn left and go down the street passing the Warsaw Spire building. After driving or walking for 100 meters You will see the ThaiSun salon on Your left within the joined Łucka 20 and 18 building. Right in front of it there is a gate to the parking near the school which is available for our guests - to park there You have to call the salon and we will open the gate for You. If You are coming from Muranów, Żoliborz or Bielany district you shall take the Wronia street which crosses Łucka street. When You will pass the Hilton Hotel You need to take a left turn. Not far from there You shall find our salon, just go down the street a little bit. When commuting by public transportation You need to go to Rondo Daszyńskiego metro station and from there You will have to walk about 4 to 5 minutes, passing the Warsaw Spire building. 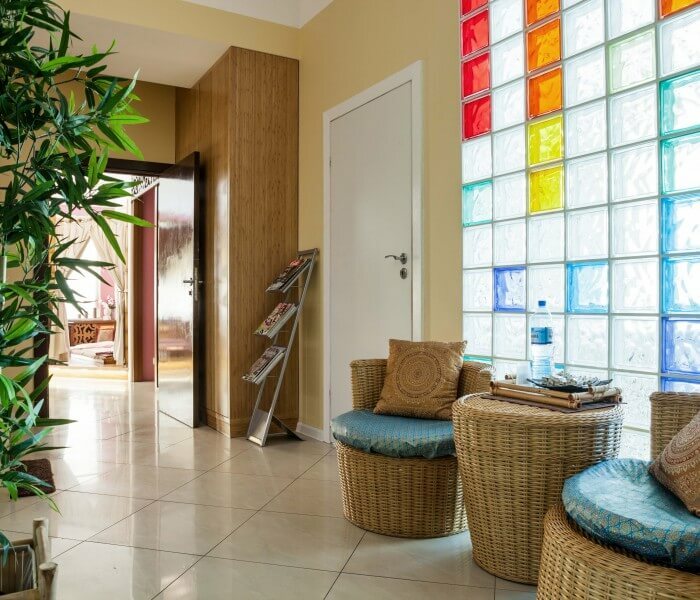 The entrance to our salon is located near Stomacare and pharmacy, not far from the Żabka store in the Łucka 20 building.